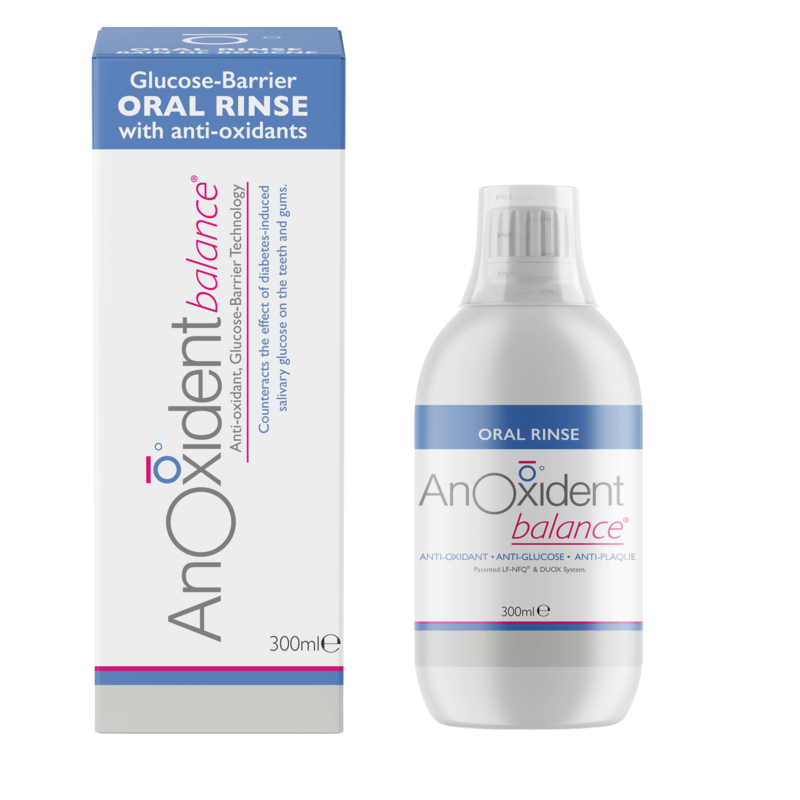 Formulated with a patented blend of milk protein extracts and plant extracts that complement the natural defense systems of your saliva, AnOxident balance® Oral Rinse provides physiological antioxidants and prevents periodontal problems associated with excessive salivary glucose on teeth and gums. The mild flavor formulation includes the DUOX system to help maintaining the natural balance of the mouth and promoting health and freshness in the oral cavity. Formulated without menthol or alcohol which makes it easily tolerated and does not burn. The formulation also contains Vitamin E, Vitamin C, glutathione and minerals, as well as fluoride, xylitol and lactoferrin-NFQ®.